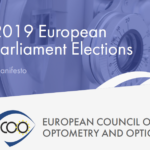 ECOO’s latest article, “Europe’s optometrists and opticians in an increasingly digital landscape”, highlights that the expertise of eye care professionals remains crucial in ensuring patient eye health, exciting new technologies and ubiquitous connectedness notwithstanding. The full article can be accessed here. 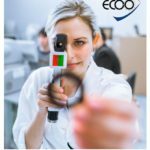 The latest ECOO article, “Vision for Healthy Ageing”, explains how demographic changes impact the work of Europe’s optometrists and opticians. 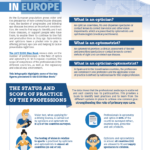 This infographic on “Optometry and Optics in Europe” highlights some of the key figures presented in the ECOO Blue Book 2017. The European Council of Optometry and Optics is seeking to appoint Visitors to the Accreditation Panel. Visitors will be responsible for evaluating the self-assessment document, the syllabus, the programme specification, examinations and assessments, for visiting training institutions, observing teaching, inspecting facilities and discussion with students, staff and institutional managers. Click for more information. 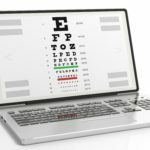 The majority of blindness and vision impairment can be avoided by good eye and vision care and in many regions optometrists are the primary providers of this service. Where does OCULUS fit it? 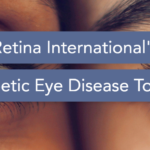 Three key areas are believed to be fundamental to addressing preventable irreversible sight loss in Europe: research and development, early case finding and diagnosis, and access to treatment and services. How is Europe faring on these topics, and what more needs to be done? 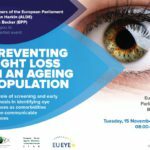 On 15 November, a panel of experts from across the eye health field will discuss how sight loss can be prevented through early detection of eye diseases and adequate treatment. 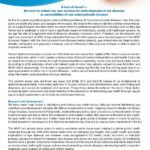 A position paper highlighting the need to enhance screening, promote research and increase access to specialists will be presented at the event. 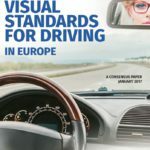 The European Diploma in Optometry was developed to ensure a uniformly high standard of education and practice across the EU, with a view to support the free movement of optometrists in Europe. Interested universities and schools can benchmark their programme against the Diploma, with a number of institutions having successfully gained full accreditation. 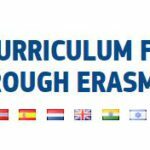 In this video, we hear about the objectives of the European Diploma, the value it brings to students and universities across Europe, and future ambitions. We hear from Peter Gumpelmayer and Paul Folkesson on their thoughts on ECOO, how the profession is moving forward, and where the main challenges and opportunities lie in the next couple of years. 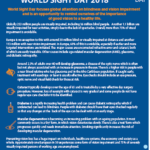 This 13th October marks World Sight Day, which galvanizes the eye health community to draw attention on a global level about blindness and vision impairment. 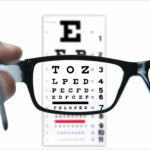 People often value their eyesight as the most important of the senses. 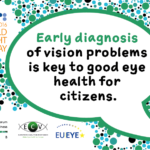 Yet every year many people suffer loss of vision that could have been prevented or treated. 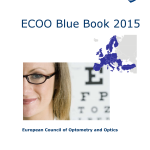 The ECOO Blue Book is a valuable aggregation of information relating to the professions of Optometry and Optics in countries across Europe. 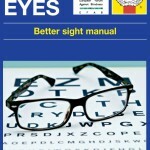 The Union des Opticiens (UDO) reaffirms its position in favour of the “optician-optometrist” in France. 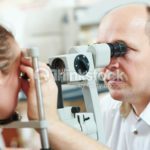 L’Union Des Opticiens réaffirme ses positions en faveur de l’opticien-optométriste. 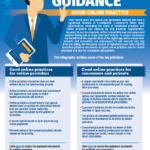 As a follow-up to ECOO, EUROM I and EUROMCONTACT‘s response to the public consultation on ‘measures for improving the recognition of prescriptions issued in another Member State’, ECOO met with the European Commission in June 2012. The meeting has been very insightful and clarified that the draft legislation, which will be published after the summer, will be sufficiently flexible to provide for optics’ requirements. 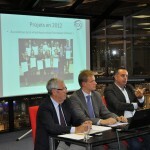 In June 2012, the European Public Health Alliance (EPHA) has formally accepted ECOO’s application to join as a member. 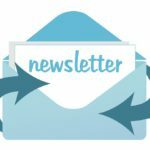 EPHA is a Brussels based NGO that advocates for better health throughout Europe and is made up of public health organizations, patient groups, health professionals, associations and disease specific groups. ECOO is very pleased about this new partnership as it will foster closer cooperation and the exchange of information with other professions. 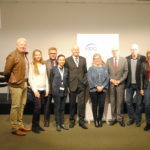 On 22 November 2011, ECOO and the ZVA (Zentralverband der Augenoptiker) under the patronage of Mr. Erwin Rüddel, Member of the German Parliament (Bundestag) hosted the launch event of the “Comparative Analysis of Delivery of Primary Eye Care in Three European Countries” in Berlin. The press release in German is available here.